OK, here's another one. 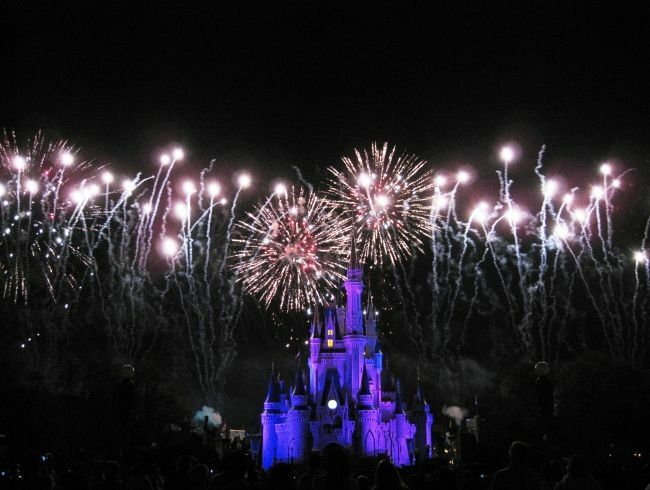 This is from Wishes. The smoke makes a really interesting effect there. That's stunning. I love it! Keep em coming! Especially you ZapperZ! 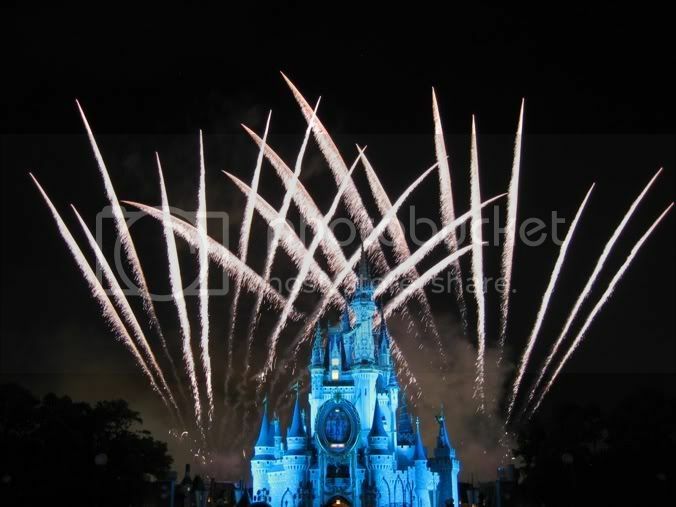 Continuing with the theme of Castle Fireworks, this is from Music, Magic, and Mayhem during the Pirate and Princess Party. Those fireworks shots are great, I had terrible luck with them last time I was there. ZZ, how do you get such beautiful night shots? When I was down in Sept, that was one thing I seemed to have trouble with. I am new to my SLR so I'm sure that has something to do with it. There's not trick, really. You just need a tripod, then knowing your camera settings. I have one of those point-and-shoot Canon Digital Elph camera, so it certainly isn't as fancy as a SLR. Yet, I'm pretty happy with it. If you can set it for a manual setting with ISO 100 or so, turn off the flash, and set it to a 2 second delay (if you don't have one of those remote thingy that can snap a picture without you having to touch the camera, then the 2 second delay isn't necessary), then you're all set. My camera has a "fireworks" mode, but I seldom use that because it opens the aperture a wee bit too long. Ha ha!! I love those inflatable thingys they put up! Now, who are those singers in front of the riverboat?? I've never seen them before. Also, Zzapp, where did you take those castle pics from? Looks like the train station, but I remember they leave the lights on over there. Those are the "Cadaver Dans", which is really the Dapper Dans. I'll reveal my secret on the BEST location to videotape and get the best firework shot. It is on the 'bridge' connecting Main Street and the hub. So it is not exactly at the top of the hub (that position is too close for videotaping the fireworks), but slightly further back on Main Street. The bridge also has a slight arch to it, so at the middle of it, you are a few inches higher than the surrounding. That few inches can mean the difference between a clear shot at the castle and someone's head getting into your view. 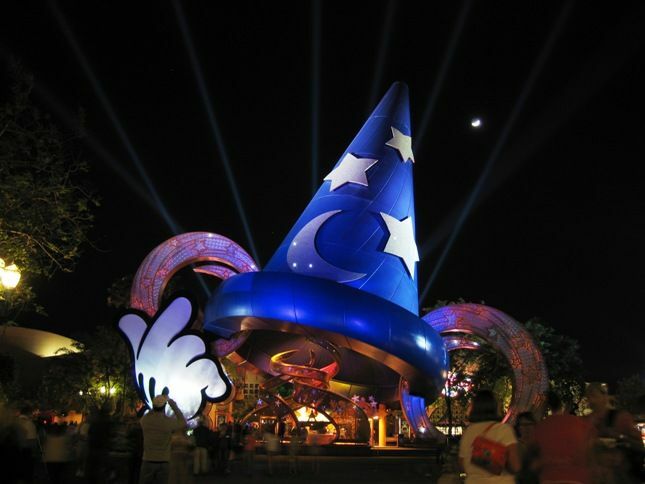 This picture actually won one of the weekly photo contest in one of the Disney fan forum. 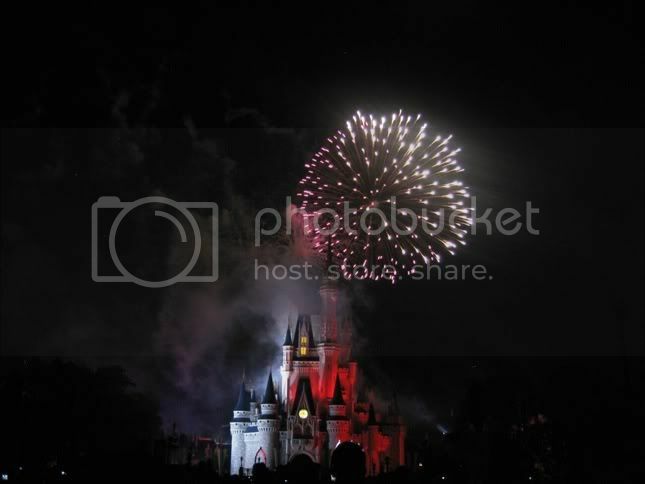 It is also one of my favorite, and it's not even a night picture! I see! 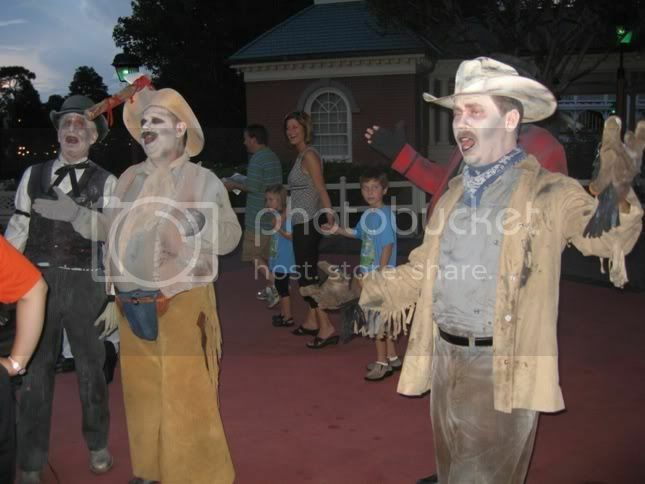 I've never seen the Cadaver Dans in all my MNSSHP trips. Strange how you can go countless times and not see everything. Did I hear somewhere that the Dapper Dans are no more? Great tip, Zz! As soon as we all learn how to work our cameras at night we might be able to steal your secret. 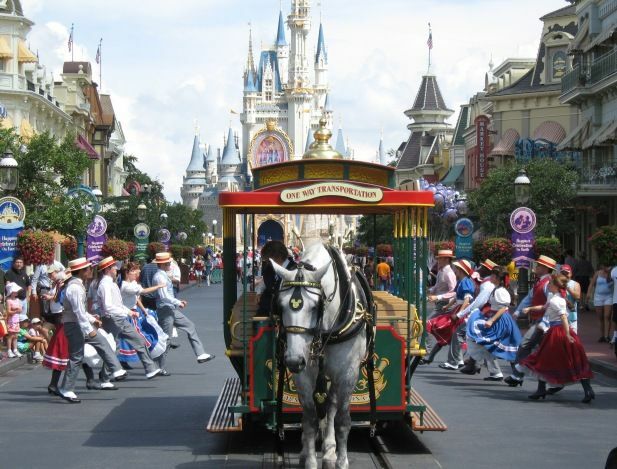 That's such a great picture--really shows the true heart of Main Street. What forum did it win on? Another daylight picture that I like. I too also like the artistic side to taking photos at WDW. Great ones guys. When was your castle picture taken Sara? I don't see any people in the shot? 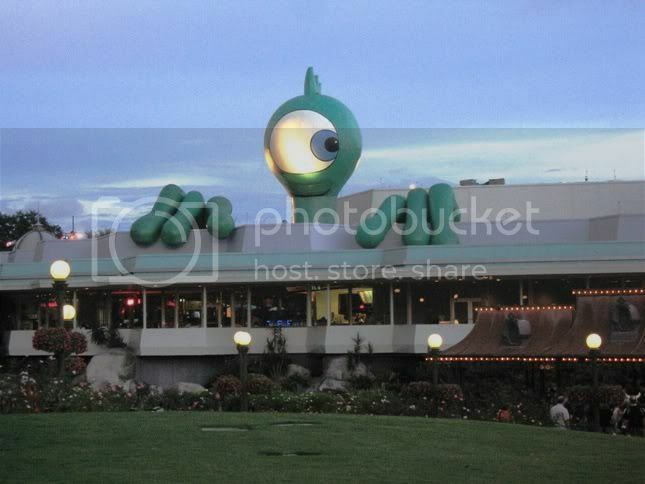 And some of the buildings around the magic kingdom like epcot are amazing..
Where is the second one taken from? Ahhh.. See , Some of the buildings will throw you off. This picture was taken from the bridge going into Fantasy land to the right of the castle. Thease buildings are in Tomorrow land. I really like the Haunted Mansion pic. 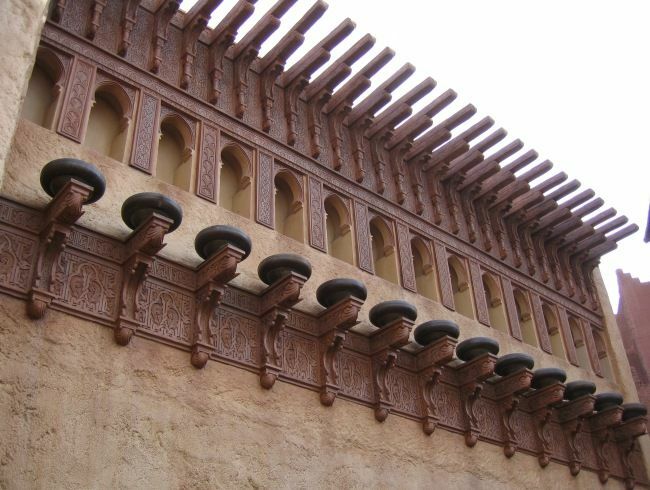 Disney World has so many incredible details that people just pass right by. I'm so glad this forum is full of people who catch them on flim. Well, what threw me off is your statement that "... buildings around the magic kingdom like epcot are amazing..". It sounded as if this is an "epcot" building at the Magic Kingdom. I know where that is taken from. This is not from WDW, obviously, but still one of my favorite. 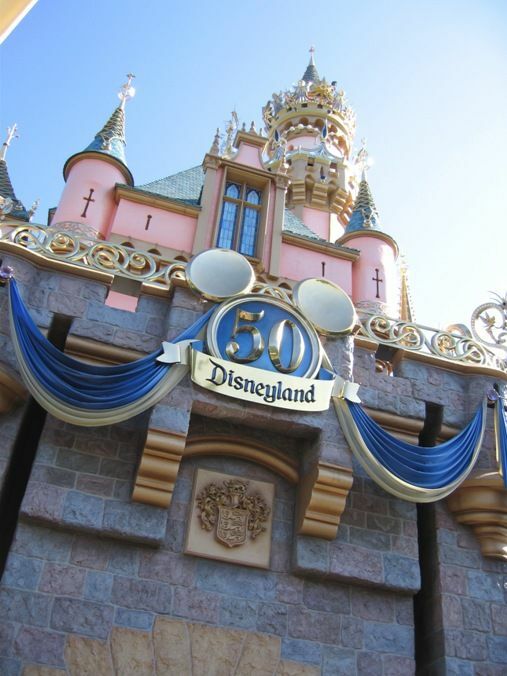 It is, of course, Sleeping Beauty Castle at Disneyland, and was taken during the 50th Anniversary celebration.